We are the leading organization in the industry to provide our clients the best quality array of Customize Logo Pendrive. - Customized logo shape can be possible. Owing to our immense market knowledge, we are able to offer excellent quality Custom Pen Drive. We are offering Custom USB Pen Drive to our client. Usage/Application: Used for storing data. 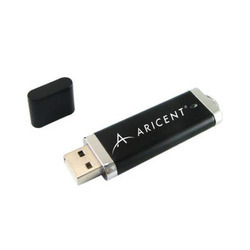 Our firm is involved in manufacturing and supplying a huge range of Customized USB Pendrive. Also, our customers can avail these products from us at very cost effective rates. Packaging Type: 1.MDF Wooden Box With Leaser Engraving 2.Metal Box 3.Plastic Box. Custom made as customer require. We are one of the prominent suppliers and traders of latest technology based USB Pen Drive. Our offered pen drives are compatible with windows and have high data transfer rate. Metal Customized Pen Drive 4gb.